On my way home from a visit to my soon to be new hometown Gothenburg I turned on the car's radio. Not very surprisingly, the subject was Sweden's loss in yesterdays football game against Spain. But then they had the good taste playing "(You're The) Devil In Disguise" with our man himself. And as the song unfolded I thought about the forthcoming FTD release Memphis Tennessee (The Lost Album), and that "Devil In Disguise" is probably one of the best tracks on it. Then my thoughts turned to the album itself. I remember buying it in the early 90's and thinking it was an excellent idea to collect all the masters from the two Nashville sessions in May 1963 and January 1964 into one complete set. I still do. 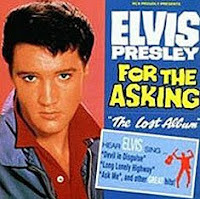 Back then the title of the album was For The Asking (The Lost Album). I never could make up my mind if it was called that because that was the title RCA planned for it in 1963, or if RCA of the 90's thought the fans demanded it to be released. Still haven't figured that one out. Another question-mark I have is why it's now called Memphis Tennessee instead. It's a little bit confusing: first of all, can an album that was never released as planned be called a classic album, and second, can it first be titled one thing and then another? Haven't figured that one out, either. On the other hand, the answers aren't that important. To me, what counts is that we get all the original masters and the alternate takes from these two sessions on 2 CD's in an attractive package, with a nice booklet, excellent sound and maybe some pleasant surprises. Oh, I almost forgot. After "Devil in Disguise" ended on the radio, the anchorman didn't announce that it was Elvis Presley we had been listening too. He just said, "The King." Remember Elvis In Concert where a fan is saying something like, "Elvis will always be the king, no matter what." That person sure knew what he/she was talking about! PS: I just learned that there is something called a poll you can use to ask your readers what they think on certain issues. I've just added one myself, concerning The Lost Album, so don't hesitate to click and tell me your opinion and/or leave a comment. 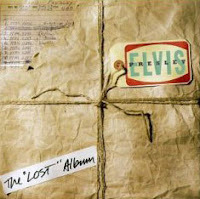 The Lost Album CD was one of my favorites back in the day when I only had a few to choose from in my collection. It has some great stuff on it. I will have to get the FTD at some point once it does come out. What did Elvis do on my birthday?